The post GS1000 goes up to 10 appeared first on Gordon Smith Guitars. 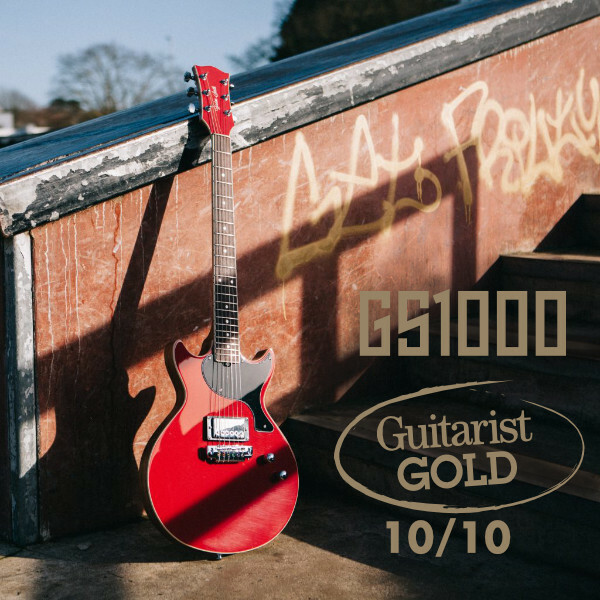 We were delighted to receive a glowing recommendation in the September edition of Guitarist magazine for the new GS1000 and win their prized 10/10 Guitarists Choice award. This is great recognition for the work the team have done to continue the GS legacy. You can read the full magazine review online here and check out the specs and find out more about a new GS1000 here. The post Gordon Smith / Auden Guitars Update appeared first on Gordon Smith Guitars. As you will be aware, John, Linda and Chris are starting the journey into retirement and the future of GSG has been passed to Auden Guitars. Things moved on a bit on Friday when the ownership of the business transferred to Auden. It will continue to trade as a standalone business – Gordon Smith Guitars Ltd.
Production is carrying on as normal at Partington for now and a team from Auden are on site learning the GSG way of doing things. Eventually (and only when John is happy that we’ve learnt everything we need to), production will relocate to the Auden workshop in Higham Ferrers, Northamptonshire where GSG will continue be fully handcrafted, British built guitars. John will remain involved in the business for the next couple of years, keeping an eye on what he is calling the next generation of GSG. We understand the responsibility we have taken on in securing a future for these much loved guitars and we hope that you will all be part of that future with us. Our workshop has an open door policy and once the relocation has completed you are welcome to pop in and see how we do things. We will keep you updated with our progress through the facebook pages and we will try and answer any questions you might have. A huge thank you is due to John, Linda and Chris for over forty years of building great guitars.